I am off schedule a bit for posting this month’s feature card. No excuse for that except it has been a busy month. 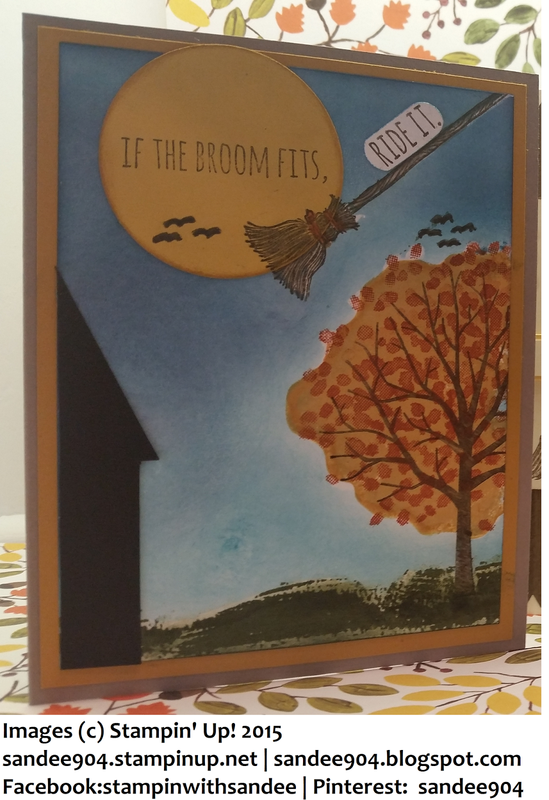 This month’s club featured fall and Halloween cards. 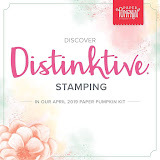 Today we will shine the spotlight on the adult humor of Stampin’ Up stamp set, If the Broom Fits. 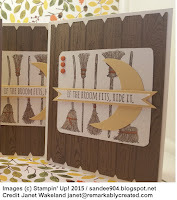 I loved the sentiment, “If the broom fits, ride it” but I was having difficulty with taking this up a level from just stamping the image, framing it on DSP and adding a ribbon. 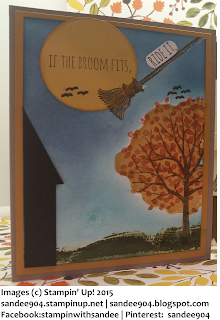 I found a cute card on YouTube by SU demonstrator Janet Wakeland, which we cased with some small variations. You can see her card and video here. https://www.youtube.com/watch?v=LhYXTqNJDYk This is our interpretation. I have really started to get the hang of creating sky backgrounds. The next step is very important, using a clear wax crayon (you know, the kind you get in an dye kit) carefully trace along the outside edges of the tree, leaves and ground and cover the broom entirely. This way, when you sponge the sky, you can get closer to these images without altering the color. I used Pacific Point Classic Ink first to completely cover all the white remaining on the card front, followed by a small amount of Night of Navy Classic Ink towards the top of the card. 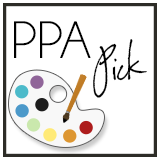 If it "bugs" you, use the heat gun for a bit to remove any remnants of the wax crayon. The moon is a circle (#4 from the center of the CirclesCollection dies) in Hello Honey after masking and stamping the first part of the sentiment. Be sure to leave some room for a small bit of the broom to give the illusion that a witch is racing across the sky in front of the moon. 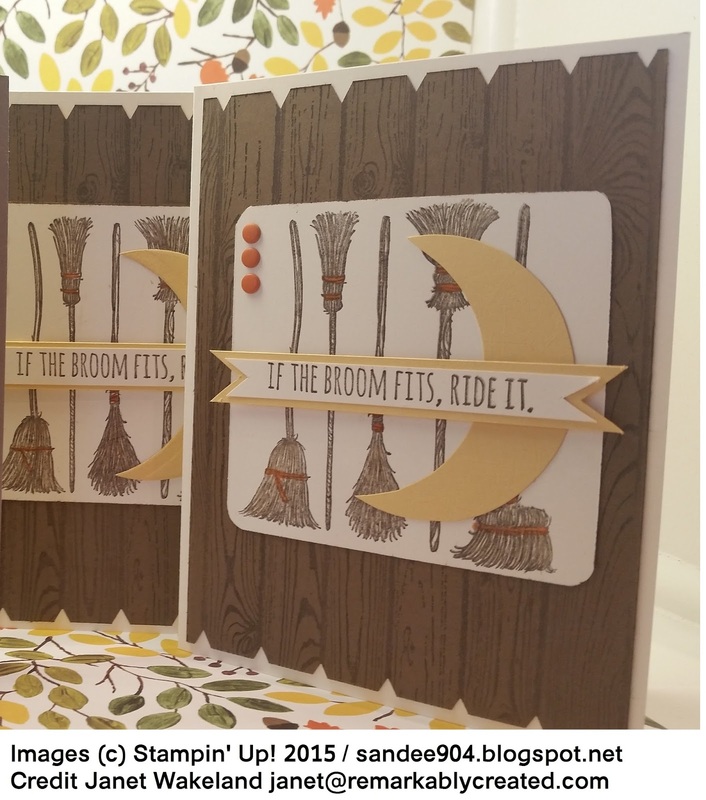 Line up the broom on the moon with the broom on the card and pop up with Stampin’ Dimensionals. (If you are certain of your placement, you could inlay the moon, but I liked the dimension added effect.) Stamp the rest of the sentiment, “ride it,” on a Whisper White and short punch with the Word Window Punch. Place it on the broom stick. Finishing touches. The house is cut free hand from a scrap (about 1” by 3”) of Basic Black, and some strategically placed bats using Stampin’ Write Marker in Basic Black.